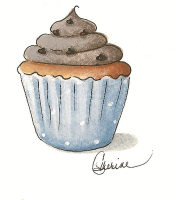 I will be busy for the next few weeks painting another Christmas scene, but I wanted to share this new little cupcake painting that I listed on eBay. Perched high on top of a butter pecan cupcake piped with chocolate frosting sits a wise old owl hoo keeps chanting, "Hooray for cupcakes!" A brown and aqua dotted ribbon is wrapped around the edges of the canvas and ties in a bow at the top. 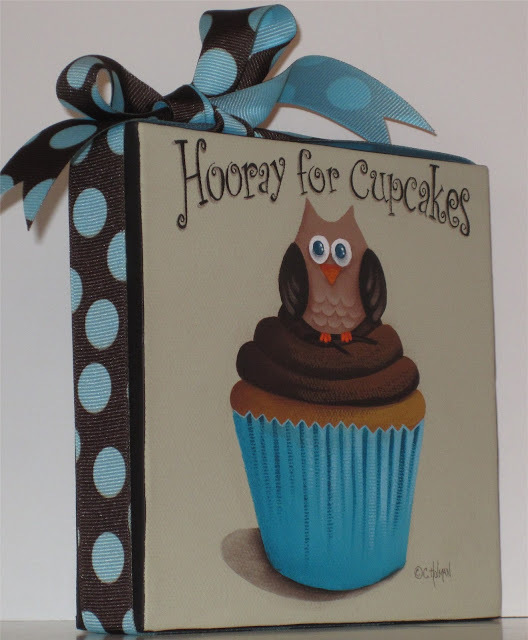 I was having difficult time coming up with the saying to go on the cupcake painting and all I could come up with was "Hoo's your Cupcake". That wasn't my favorite and this painting sat on my table for a few days until I finally came up with the title. 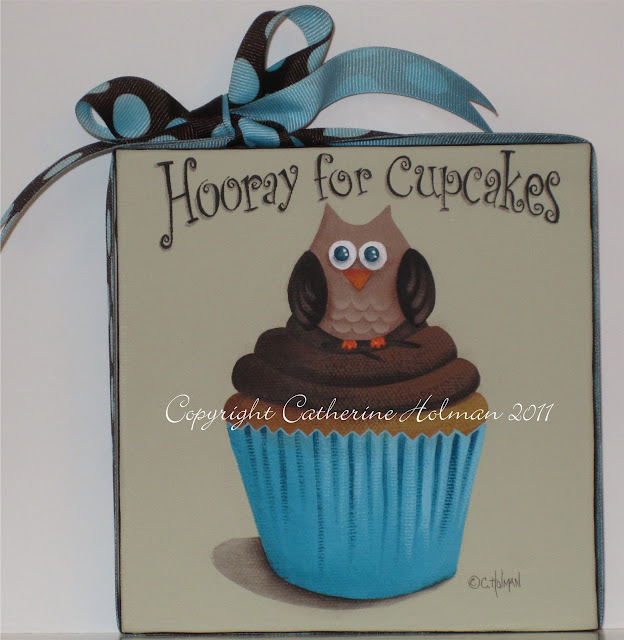 Hope your having a "Hoot" of a day! It's so cute and your header is postively dreamy! Are you sure you don't want to publish another book, I sure could go for one of your designs to paint. What is happening with owls this year, I'm seeing them everywhere, did I miss something? Cathie, I just might have to buy a print of this for my youngest daughter. She makes tons of cupcakes and loves owls!! Cathy, that's adorable, and the perfect name too! Love it!